As you are well aware now WordPress is one of the most known and also most used content management system (CMS) for websites and blogs. From business owners to bloggers, WordPress allows users to create content in an easy to use format. There hundreds and thousands of WordPress themes free and premium themes out there. The best thing about WordPress is that one can create any type of website in just a few minutes without applying any code. And the reason WordPress is becoming popular is because of the numerous plugins available. When it comes down to running a business on WordPress, plugins provide an extension for new startups to create a more wholesome experience for their customers. As there are numerous plugins available online, one of the biggest problems is to choose the right plugin for your WordPress site. You likely have numerous plugins on your webpage, however, does your WordPress blog have the essential plugins? Let’s check out some of the plugins that will improve your site’s client experience and make WordPress admin tasks way easier. These best WordPress plugins are helpful for each blogger and website admin on the WordPress platform. Yoast SEO is one of the best plugins for WordPress. This Yoast SEO affects the visibility of a website on search engines, such as Google. Having this plugin is essential for any blog or website that is made from the WordPress themes free, to increase their rank in the search engines. Yoast guides you to produce better content. It also tells you to select a keyword that you want to rank for the post and then use the keyword suitability of the content you are writing. Like, use the keyword in the post title, in the article body, and in the description. Furthermore, one can also customize their article headlines and description that may boost the click-through rate of your website. Yoast SEO is a free plugin, but there are also premium versions available. Whether you have a blog or a website WordPress comment spam is something that you will face for the first day. If you get some cheesy lines in your comment, you should not get excited about it as it is mostly a spam comment. This Akismet is the best anti-spam plugin for WordPress. This plugin checks all the comments for spam and automatically filters out those spam comments, and so you can focus on your work. If you do not use this plugin, then your blog will be spammed. As the spammers only want to throw their links on your article and don’t want to join the discussion. This plugin is free to use for personal websites, and one needs to subscribe to its monthly plan for bigger companies. This Akismet plugin will automatically remove those spam comments into the trash. Speed should be the main priority of any WordPress business website or blog. There are many WordPress cache plugins out there, but WP super cache tops every one of them for its simplicity and effectiveness. A slow site will rapidly make visitors go away in disappointment. WP Super Cache can accelerate WordPress site by making static pages from a client’s dynamic WordPress page. In doing as such, server resources are saved and the speed can grow, consequently making more joyful clients on a quicker site. Jetpack is power-packed with many features, as it is a multi-option plugin and is one of the most well-maintained plugins of WordPress. It monitors your website and also helps one to increase the traffic. Jetpack also defend you from attacks as it monitors the downtime and login on your WordPress site. With a business website, images tend to be heavy, which can have a tendency to slow down a site. With business destinations, substance, for example, pictures will, in general, be substantial, which can tend to back off a site. Jetpack speeds up the picture performance by utilizing the worldwide WordPress content delivery network. v. Pinterest and many more. There are many contact form plugins out there, but contact form 7 is one of the simplest plugins to configure. It is helpful as it shows the referral source which is very useful for knowing how your visitors navigate through your site before using the contact form. With this plugin one can easily customize their forms, this form can be created and every entry form will be sent to your email. One can also create multiple forms with multiple tables. 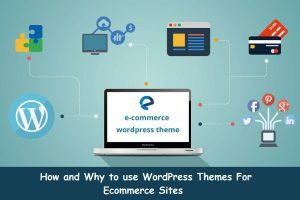 If you run an eCommerce site made from the WordPress themes free, then you mostly use WooCommerce. Within just 5 minutes you have a fully-fledged eCommerce site up. One can sell whatever they want to. Products can have images, prices, categories and tags, which allow for a wide range application for clients. WooCommerce features include multiple payment gateways, the free storefront theme, easy to use dashboard and many other options to manage your online store. WooCommerce is the only eCommerce plugin one will need. Broken link checker is a free plugin that will continuously scan your blog or website for any broken links and allows to fix them with just one click. This also avoids sending pings when you publish your post with links to your own post. In this article, we have shared the best plugin that is not only useful but are the top choices to use for making any kind of website from the WordPress themes free. This will give your website or blog added functionality and features that will enhance both the user and the admin experience. With these WordPress plugins, one can also boost their search traffic as well. Back in the day when WordPress was brand new, there are a lot of problems with the theme development and maintenance. WordPress theme frameworks change that forever. 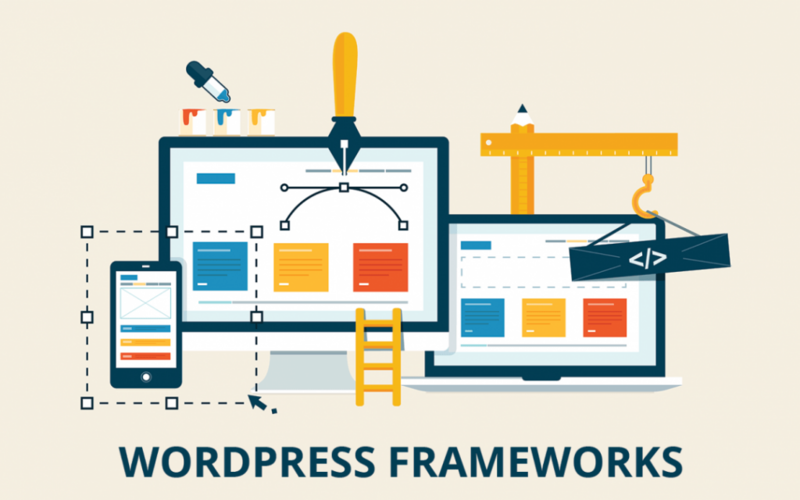 WordPress theme frameworks provide website admins with the essential functionality of a theme and give them the flexibility to design the theme’s appearance anyway they see fit. The best part is that since the hidden functionality is a framework, website admins never again need to update the themes core file manually records and keep track of the customizations they make. Here we will discuss the basics of the theme framework and will also explore the benefits and disadvantages of using them from developing WordPress sites. A WordPress theme framework is simply an advanced theme with extra highlights that empower web designers to upgrade its functionality and customize it. Also, there are free WordPress themes available too. When you utilize a theme framework to create a WordPress site, you will need to make a child theme to use with it. In this way, the theme framework works like the parent theme. It’s completely up to you whether you choose to purchase the child topic or construct it yourself. A parent theme is the default theme that is fully functional and also allows the user to set customization options. A child theme declares a certain theme as its parent and then the child theme inherits the functionality and styling of the parent theme. Essentially, theme frameworks store the functionality and base code of a WordPress template and permit web developers to add custom styling to it utilizing a child template. For most cases, a single WordPress theme framework can control a large number of WordPress sites. The frameworks hold the essential functionality of the theme and you’re allowed to design, the presence of the theme any way you would like. i. Widgets: Here the developers can customize the widget area on different template files and pages. ii. Dashboard: the developers can customize everything from the layout of the page to the design elements and the content that displays on it. As the theme options given allow developers to customize the appearance of the site without having the code. iii. Extensions: Some theme frameworks come with a wide range of plugins and integrate seamlessly with the framework itself. Developers have access to the plugin files to customize them for their free WordPress themes. You will better understand the potential of a framework once you test a few of them. But before installing a framework, let’s look at its advantages and disadvantages. Most popular theme frameworks have a huge community behind it, one gets support. The best thing about utilizing a well-known theme framework is that numerous others like you have likewise utilized it or are right now utilizing it. The WordPress people group is incredibly friendly and when you have a huge number of individuals utilizing a similar theme design, it’s easy to request to developers on forums and receive support for your issues. One can easily develop a website or a blog by avoiding the coding required to create the framework. It saves your time by avoiding repetitive tasks. If one is developing an eCommerce platform or a portfolio theme, the framework has the needed items to develop that theme. Frameworks are provided with a large number of functionalities that you don’t need to include yourself. Models are widgets, standard themes, certain SEO elements and methods for creating and editing pages and posts. WordPress theme frameworks are all flexible like theme options, customizations, function extensibility, and design alterations. If you think that you are not going to use certain features at this point, it is always to go with a flexible theme framework. It is generally important to become familiar and learn the language utilized in the frameworks. Hooks and filters, for instance, vary between Frameworks. Learning of this is essential when coding child themes. There is a couple of top-notch free WordPress themes. In any case, in the event that you need an incredible and dependable structure, you will have to pay. Most frameworks utilize the membership model, however, there are a few that just require a one-time fee. Regardless of the pricing model, you will have to pay to get a quality framework. You will also need to pay for the updates and support. Updates are important because you want to make sure that your site is free of bugs at all the time. There is a limit that framework allows for the customization. If one wants more extensive customization then do not use frameworks, but code from scratch. Here we will review some of the most popular theme framework and features that they offer developers and web experts. One of the most popular WordPress theme SKT Perfect build with most popular framework customizer. This WordPress theme will help one to reach out to their targeted audiences easily. With the WooCommerce compatibility, making client invoices online and getting them paid also becomes very easy. This is designed to be translation ready thus it can be easily translated into any other language website with the help of POT file given inside. One of the most popular WordPress themes, maintenance services, is built with the most popular framework Pro page builder. The WordPress theme has been developed for construction and renovation and interior designing type of websites. SEO friendly coding has been done and SEO plugins can be added to get proper meta tags on each page and to get proper SEO results as well. Adding extra layouts also becomes very easy because with the use of SKT Page builder a different landing page can be created without any hiccups by non-coders as well. A WordPress Theme Framework is an efficient tool that helps developers. Yes, it might cost you, you can also get free WordPress themes. Drag and drop functionality can save your hours of coding and you can get access to all the modern SEO tools and widgets. WordPress is a powerful blogging platform and there are many hundreds and thousands of people starting a WordPress blog every day. Whether it is hosted on a free WordPress blog or on a self-hosted on your own web server. Thus, best free WordPress themes have become an essential tool for bloggers and for all the other people who deal with technology. For website developers and bloggers, it is very much important to make their site look attractive, creative and appealing to attract more reader bloggers and followers. Many bloggers often give up after a few months, because their blog is not popular as they want it to be or they are not getting many comments as they wish. A powerful WordPress blog is the one that has decent content and different tools that include color, fonts, styling, effects, and animation have been utilized properly and effectively with the overall content of your blog or website. 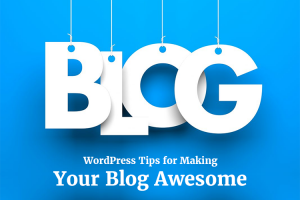 To make your WordPress blog a standout amongst the best and popular one you should simply to follow certain tips that will help you in grabbing the attention of many followers and readers and will make your blog a super hit. Given below are some of the tips that one should adopt from today for making their blog effective, creative and innovative without going into the technical aspects of WordPress. If you are a Beginner! For the new beginners, it’s vital to know how the guests are attacking your blog and what they can expect from you. Their liking and disliking regarding the content are very important. Observe and think according to what the users are expecting from your blog, and arrange everything in accordance with their goals. On the off chance that you need to look at the statistics at that point, you should install Jetpack, which is free for you and you can all the more likely better judge the readers with its help. This software will not just only inform you regarding the interest of the people, but at the same time, it will show you their interest like what they are up to and why they are reading this particular content. The most important thing is to make the correct use of your website or blog title. Ensure that the titles you utilized in your site or blog are basic and clear. Try not to utilize confusing words or words that are troublesome and have meanings that aren’t suitable for the overall content. Your WordPress blog’s titles ought to reflect what your overall content is about so that it will help your readers and followers to have a clear idea of what your blog or website is about. Utilizing clear titles encourages visitors and readers to get a quick thought of your content and make them happy as they can read effectively without experiencing any difficulty understanding the meaning. One cannot deny the importance of specific times when you can expect the maximum number of users to step into your blog. Different people have a different phenomenon. If your content is fresh then your blog or website can grab the maximum number of readers. If you are promoting news content, individuals need to know something as it occurs. No one will focus on some old news story. So, keep it in time and post the blog entry at an explicit time. Data ought to be spread on time when it’s required. Thus, in the event that you need to address a large number of audiences, then post your blogs on time. Social media has been expanding day by day. Everybody from youthful to old is currently associated through various online forums, networking sites and other media. Utilizing the social media Facebook, Instagram, Linked In, Twitter and other online forums you can share your content effectively with a large number of people living in various countries. This will give you a stage to go worldwide and to have clients from around the globe. The thoughts and feedback from your worldwide clients will assist you in making your content successful, will give you more knowledge that what different individuals consider about your WordPress blog’s content. Advertising and marketing your content that means you have to share and post on different social media to get your blog noticed and also to bring traffic to your best free WordPress themes. For making your WordPress blog or site effectively, you have to add some amazing templates there are many best free WordPress themes available that you can add to your blog or website to make it look catchy, attractive and appealing. Including a template is important, but the theme you choose to put in your WordPress blog or website should also match your content too. There are numerous good site developers make mistakes by adding the wrong theme to their WordPress blog which makes it less attractive despite the fact that your content is perfect but because of poor appearance they don’t get the traffic on the WordPress blogs. Themes should be chosen that have different tools like images, that go with the overall content, the styling and the animations, effects and much more. In the end, your readers and followers should be satisfied and happy with the content that you are providing. Now, it’s up to you how you improve your blog like a sparkling star among a large number of competitive blogs and website. Keep in mind one thing, that one cannot drag a user on your blog, until it is executed well to attract a large number of visitors. Also, make sure that you choose the best free WordPress themes for your blog or site that goes with your content the better. By following the tips given above, one can surely make great changes to their WordPress site of blog in order to make it more effective, engaging and attractive to your readers. On the off chance that you need a decent position in the web search tools, at that point, you have to consider the importance of SEO. WordPress is good for SEO, particularly the new versions of free WordPress themes. It’s one of the numerous reasons individuals pick WordPress in the first place. Setting up a WordPress site is simple, but properly optimizing them for SEO is not. SEO is not limited to low-quality link building and keyword stuffing. It has truly experienced development in the previous decade and will evolve constantly. 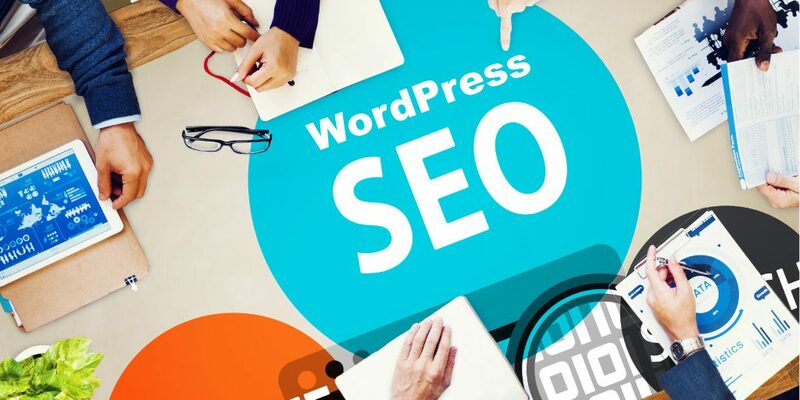 There are a number of things one can do to take WordPress SEO to next level. If you want your WordPress blog to rank higher in search engine page result, here are a few things that you should consider doing. The initial step is to guarantee your site loads quickly since speed is a very important ranking factor for Google. In the event that your webpage is not loading quick, you can contact your host and ask them why is your site performing slowly on their server, yet on the off chance that they neglect to give you a specific reason, you can make sure that their servers are slow in the first place. As Google takes speed into account while ranking sites, a good host can help push you to the top of search engine page results. A good way to go is with a WordPress specific hosting plan, these fully manage plan provide impressive speed and no downtime. Your theme is amongst the most essential decisions you’ll make for your free WordPress theme. It controls your site’s appearance and layout, can give new functionality, and also plays important role in its SEO. For instance, your template can affect your site’s speed — which is essential. The way in which a template was produced additionally matters since clean code gives your site the best chance in search engine page results. Thus, when picking a design you’ll need to decide to choose one while also considering SEO. These themes are often referred to as SEO friendly. You may likewise need to search for a template that offers explicit features specifically designed to enhance your SEO, for example, new heading tag options. Luckily, there are a lot of themes accessible to choose from. In case you’re new to WordPress, you may not yet be comfortable with plugins. These are little bits of extra software you can install, which add new highlights and functionality to your site. There are plugins to enable your site to do pretty much anything including rank higher in search engines. In fact, there are numerous plugins designed explicitly to enhance your website’s SEO. For better outcomes, you can likewise select on a complete SEO plugin, for example, Yoast SEO, which will include an entire suite of optimization focused features to your site. For individual content for your website, you need to use heading tags. Using heading tags while structuring your content achieves two things. It gives a visual advantage, by separating your content and making it easier to read. Likewise, visitors give a lot of attention to headings, utilizing them to see how your content is organized and what it’s about. So, while making posts and pages for your free WordPress themes, remember to use WordPress heading options frequently and consistently. Choose a keyword for each post or page and utilize it in various places on your site like as the title, the headings, and the content itself is a common way to communicate your topic to search engine visitors and this also increases the chances of showing your content in relevant searches. It is best to avoid forcing your keyword into many places so that it appears unnatural or spam. Google and other web search tools don’t think about your site invalid. Rather, they see how well it’s connected, both inside and to different sites. Utilizing a lot of links all through your posts and pages advises visitors how they relate to similar content. It likewise urges other individuals to link back to your site which in turn communicates to search engine that your content is profitable. Always look to incorporate links where they fit naturally and to point readers towards high-quality websites that already rank highly in search engine result pages. Smart use of both internal and external links is the key to achieving the best SEO results possible. More individuals than ever are utilizing cell phones to browse the web. This implies your site needs to look and execute as great on any type of device a visitor happens to be using. Responsive design is important to the point that Google utilizes it as a ranking element. On the off chance that your site is responsive, its chances on appearing on the search result pages are much better. For WordPress clients, the most ideal approach to begin with a responsive plan is to pick a theme which is responsive. Pictures are important for any site. They give visual appeal and context, in addition to they help to break up the text and make it progressively meaningful. They can likewise affect your SEO. For one, the quality and size of your pictures can influence your pages, loading speed, which is a ranking factor. Be sure to optimize your images and other media as they have a little impact on your site performance. If you want your site to do consistently well in search engine result pages over time, you will want to add new content regularly. Try and create a post schedule to keep yourself on track and changing up the types of content you create to keep yourself and your visitors interested. Also, do not neglect older posts and pages. Updating your existing content reminds visitors to re-evaluate it and to give it higher importance. Whenever Google and other search engines make complex algorithms for ranking sites, they will likely help the most relevant and valuable sites score higher. On the off chance that you need to see accomplishment with your SEO efforts, you have to concentrate on making quality content. Always keep in mind to carefully check and edit all that you add to your site as details matter the most. Obviously, picking WordPress as your platform is the ideal initial step to making a well-optimized site. At that point, you’ll have to pick the correct host, select an appropriate free WordPress themes, and consider getting one or more targeted plugin. Responsive websites have a greater impact on your business, as it reaches the audience more efficiently than the normal website. Responsive free WordPress themes is a technique in which you make the site accessible to any client responding to their conduct and the devices as indicated by the size as well as orientation, the clients use to access the site. The site is structured and created with the technology to adapt and adjust to any gadget the client prefers. You can essentially make your HTML site accessible on any gadget with the utilization of the CSS of the specific gadget. In spite of the fact that essentially the HTML coding for all devices is basically the same, the optimal view of the site is changed utilizing the CSS management, in this way CSS has a major job in responsive website design. Responsive website design is not only about making the website adjust to the size of the device that you are currently. You can absolutely control the resolution of the site just as the pictures on the site with the Responsive free WordPress themes. You do not need to bother with a special server or hosting to run responsive sites since it is on the browser that the responsiveness comes about. Responsive website has everything to do with the to CSS3 and Media Queries. Media Queries form the principal part of the responsive website design, however, what we are talking about here is exactly how it impacts a WordPress subject. Google up Media Queries and you can become familiar with all that is there to be learned on it. In the event that you construct your site depends on the Responsive Web Design, you will undoubtedly get more remarkable Return on Investing without a doubt. It is because that your site turns out to be equally watcher-friendly across different display sizes from that of a desktop computer, notebook, and tablet PC device to even smartphones like iPhone, Galaxy S, and other Android Phones. What’s more, you can do this all in one go. You can design your website initially making it responsive to devices, rather than obtaining the assistance of a web developer separately to make your website user-friendly for mobile device users. With a single design and development process, you can achieve your requirements easily for developing a Responsive free WordPress themes. Yes, really! There are no glitches in such an advancement. Be that as it may, you may require a few improvements or device – selective functionalities depending on the necessities of the general population who need to manufacture the site. On occasions, programmers also may point this out. To refer to an example, there are extraordinary events in touch screen devices called “Swipe” and “Tap” which you won’t discover a non- touch screen device. A programmer can think of extraordinary functionalities for a cell phone – a friendly site yet it might cost somewhat more than a regular site. Totally different work culture is required for developing a responsive website. A developer or a designer alone can’t do much and the cooperative energy both brings by talking about the job and executing on it, which will do just great. Apart from adding flawless highlights you need to add to your own responsive site, there is nothing you need to give. Alongside the designing and the improved procedure for your Responsive free WordPress themes, you can include several functions that would make the utilizing of the site progressively more comfortable for the audience and visitors. You can include the swipe and touch features also to make things simpler. Google trends reveal the WordPress is one the major and popular platforms. It offers you the most convenient and easy designing process to complete the development of WordPress responsive websites. WordPress is so designed friendly that any newbie designer without any knowledge of PHP or HTML can also design a theme for it. There are numerous responsive website design benefits. It can definitely affect your SEO, conversion rates, client experience, and numerous different parts of your business that contribute to your website’s growth. A responsive site prompts a better client experience. The main factor demonstrating the nature of client experience is the time they spend on your site. On the off chance that they think that it’s difficult to explore or utilize because of the fact that they’re compelled to continually pinch and zoom, they won’t remain on your site. In any case, in the event that your site scales and response to the change in screen size, at that point guests won’t have any accessing the menus, links, buttons or filling out forms. Thus, with the responsive website, the client experience will be better and they’ll invest more energy in your site. Another one of the advantages of having a responsive website design is enhanced search engine rank. As of April 2015, Google takes into consideration that the responsiveness of your site as one of the signs that decide the position of your site in the search engine results page. On the off chance that your site isn’t responsive, the search engine will put it lower on the outcomes page while it will show higher if it passes the mobile-friendly test. If done correctly, Responsive free WordPress themes can lead to an increase in the social share of your content. This is one of the benefits of responsive web design. Responsive content corresponding with responsive social media buttons make it simple to share links of your web pages even on smaller screens. This can help to improve your credibility and open you to other new visitors, which then leads to more traffic and more conversions. There are many benefits for your business with a responsive design. 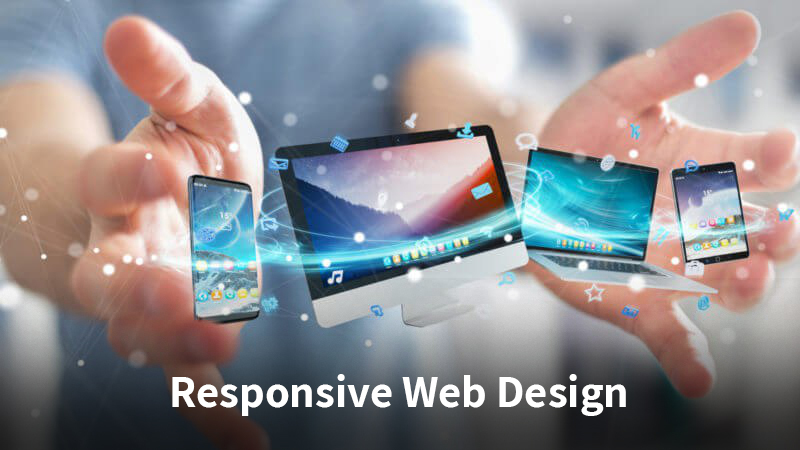 With the consideration of multiple outputs and devices of different web developers, you can make your responsive site successful. WordPress themes generally come with SEO friendly environment. The growth of WordPress powers may extend beyond 30 percent if the number of people tends towards and focuses more on SEO. Digital marketing taking place in every sector rapidly thus everything is becoming more online whether it is about filling a form or opening and running a business. 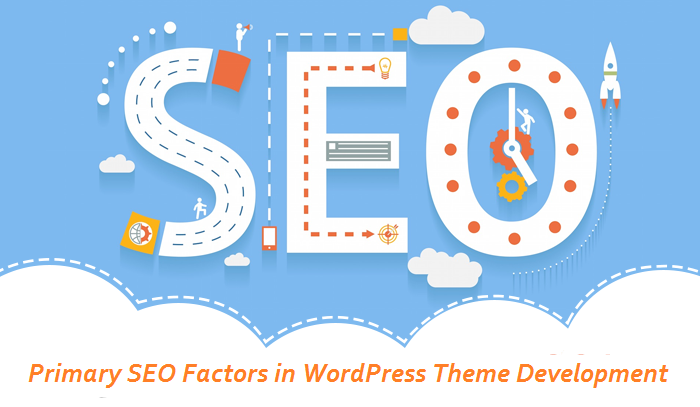 SEO is a primary factor in WordPress theme development. One should know the basic concepts of SEO and its SEO friendly behavioral. WordPress makes a website which is almost SEO based and with its various features, functionalists, creativity, plugins, responsive layouts, the website becomes super easy to run and handle. Why it is a key factor to take care of SEO on your website? SEO friendly Free WordPress themes stand out from the crowd. If you want to take your business at a greater height or have a level cross than taking in mind the tips and features of SEO is a must. With multiple responsive designs, various plugins documentation, there are limitless features available to create a beautiful site. From picture presentation to content management to products and services all include the SEO optimization on the website. Keywords are one of the absolute best and powerful factors that should be thought about. Set aside a few minutes to look into them all together before starting to make content on your site. A site structure is additionally in charge of magnificent SEO of the site. It ought to be streamlined and all around arranged by the SEO techniques of a site. Content and keywords won’t do much good to the SEO of the site until you deal with the ALT tag of the images and other visual content. Bear in mind to deal with the SEO testing before the site is propelled. It’s not simply the content that should be dealt with yet keywords and visual information moreover. Be that as it may, recall SEO likewise incorporates site security and clean coding. How to make a WordPress theme SEO friendly? 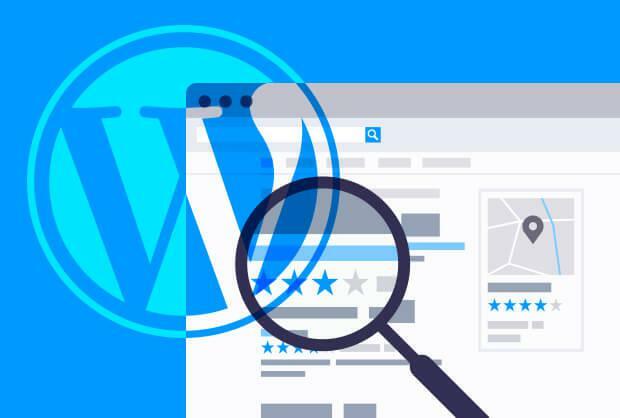 To make a Free WordPress theme SEO friendly it has to go through various testing, coding steps to make sure that it is capable of ranking high in search engine. Generally, WordPress themes are not optimized for an SEO, an SEO friendly theme is one which is best suitable and runs with search engines. So let me introduce you with some important and major points to follow while making a Free WordPress theme SEO friendly. One should give priority to the Homepage first because all the visitors including search engine give first focus to the Homepage section. Specific heading tags serve specific purposes. Where H1 specify the name of the blog, H2 serves the Tagline of a blog, H3 recent posts, H4 heading in the sidebar, and H5 serves orthogonal headings to footer and sidebar. The vast majority of the WordPress theme doesn’t pursue the heading rules. Yet, this is imperative that the headings in posts and pages ought to run in a state of harmony with the landing page. In this way, pursue the underneath principles for it. H5: Unrelated heading in a sidebar, footer. A lightweight image helps in building a website theme SEO friendly. Hence images should be optimized in high quality and faster loading speed. Here and there, clients incorporate such a large number of words before the “more” tag. The greater part of the occasions, in a site having many posts and on which the content over the “more” tag has dependably been utilized as the passage. To make portions for those posts by hand would not be simple. For this situation, you can constrain the number of words appeared in the passage. You can add favicons to embed custom codes without contacting the formats. As you can relate snares in these favicons that will trigger at a specific time. Mobility use is in high range nowadays, thus people uses and WordPress offers a safer site and way to run and check the Safari browser on the mobile phone. In this way, you can set an iPhone variable inside the code. WordPress doesn’t show the highlighted picture of course, in the RSS channel. However, to empower the supporters, you can show the included pictures in the posts. To expand endorsers of your RSS channel, you could offer the services that are accessible just to them. You can compose the new code with which you will envelop content by request to conceal it from normal guests. Adding custom links helps to neglect the sharing buttons such as Twitter, Facebook, Linkedin, Yahoo, Gmail etc., simply just add links if you do not want to show social media sharing buttons on your website. You can add a logo to the login manager page. It will execute all capacities that are appended to it in the sign in page’s mind component. It will complete two things – changing the logo, and the connection that it focuses on. An SEO accommodating theme is a 24*7 advancement system. It will dependably up to give your site a quick stacking velocity, thus a responsibility towards better SEO positioning. Hence keeping all the points in mind helps to develop a Free WordPress theme development with SEO friendly and optimized features. The content of your website is a key goal for developing and boosting your website and search engine optimization key primary factors help to develop regular traffic to your website.